Nairobi is served by Jomo Kenyatta International airport but as the city has expanded the airport has not kept pace and now desperately requires upgrading and expansion. Some aspects of the airport buildings are unattractive. 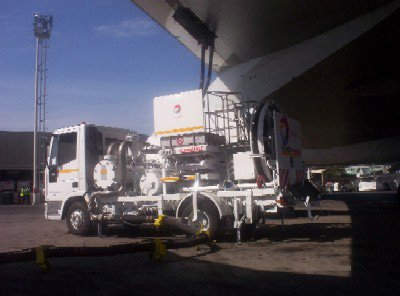 The fuelling system at Jomo Kenyatta airport is being expanded as part of the first phase. A computer rendition of the new Terminal 4. 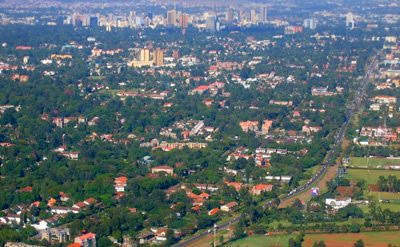 Aerial view of Jomo Kenyatta International Airport. The front façade of the airport is impressive but renovation is still necessary inside. 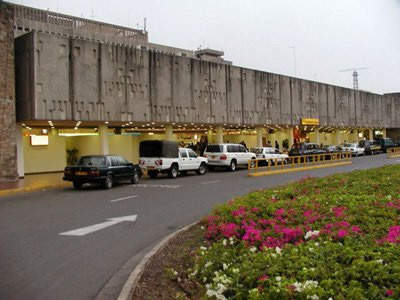 Jomo Kenyatta International Airport (JKIA) is one of the busiest in Africa serving as a major hub in East Africa for cargo and tourist passengers. their intention to expand and improve Jomo Kenyatta International to make it a premier regional hub in East Africa and prolong its usefulness until at least 2024 (when projections expect over nine million passengers a year). In addition the airport is a very important cargo hub in East Africa. The amount of cargo handled at the airport increased from 192,300t in 2004 to 220,900t in 2005. So an expansion of the cargo handling facilities particularly for horticulture and floriculture produce is also on the agenda. and all the check-in counters operate on a CUTE (Common Use Terminal Equipment) system. directed to the baggage hall on the ground floor. Flight Information Display Systems (FIDS) and signage are in place to assist the passenger finding their way around the airport. 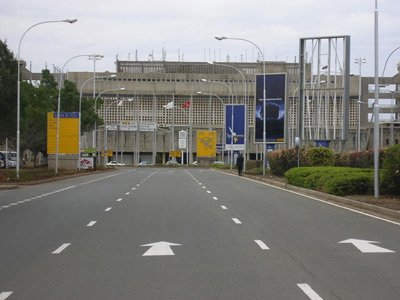 In 2004, a Canadian-Kenyan consortium led by Queen’s Quay Architects International Inc (Q2) and including Mueller International Inc (Sypher) won the consulting contract for the renovation and forecast expansion requirements for JKIA. 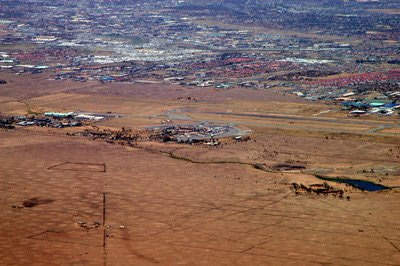 The facility evaluation and conceptual recommendations were completed and officially accepted in January 2005, leading to the detailed design and tender documents phase. to be provided out of revenues and World Bank funding (10%). has been a major problem in the past, will be improved by an increase in apron space from 200,000m² to over 300,000m², and also additional taxiways will be constructed. only one runway (06/24) which is 4,117m (13,507ft) paved in asphalt and ILS (Instrument Landing System) equipped. The current runway is sufficient to accommodate over 80,000 landings and take-offs a year but at the moment the number is only 60,000. The expansion project has been divided into three phases to avoid disrupting the airport’s operations. In subsequent phases the airport is set to have a new parking lot to accommodate 1,500 cars, airfield lighting and apron flood lights. Parking stands will be increased to accommodate 43 aircraft from the current 23. The first phase of the project started in September 2006 and was completed in mid-2008. It was expected to complete in 2007, but there was a delay due to rains, shortage of cement and delivery of equipments. The first phase involved a taxiway, apron construction, civil works for the new terminal building, extension of the fuel hydrant system and fencing. The second phase, which started in mid-2008, includes construction of unit 4 and a car parking facility that can accommodate 1,500 cars. It is expected that these additional facilities will increase passenger capacity to eight million. The expansion was expected to take three years. However, phase one, which was scheduled for completion in June 2007, was completed in mid- 2008. This resulted into the subsequent delay of other phases of construction. The project was valued at $115m and the bulk of the cost is intended to be provided out of revenues and World Bank funding (10%). In addition, European Investment Bank and Agence Francaise de Developpment will provide $186m towards the expansion of airport. 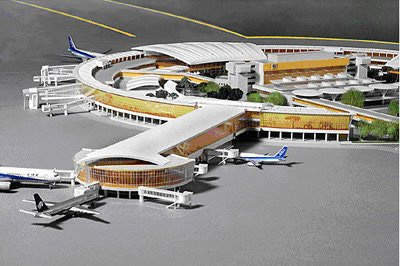 In 2004, a Canadian-Kenyan consortium led by Queen’s Quay Architects International and including Mueller International won the consulting contract for the renovation and forecast expansion requirements for JKIA. In August 2006 the KAA signed a contract worth $38m (2.6bn Kenyan Shillings) with Wu Yi Co of China for the expansion project construction work.